We All Have Issues - Professional Association Management Company | Virtual Inc. 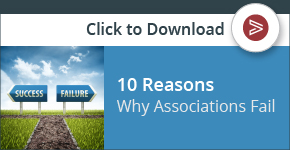 If you’re an association of any kind, chances are extremely high that at least one of your committees or working groups has a list of open items, or issues. It could be items that the group hasn’t yet reached consensus on, parking lot items that the group hasn’t yet had a chance to discuss, problems that have been identified but not yet resolved, or even an inventory of decisions it has already made. No matter what the subject matter, issues need to be carefully managed. Maintaining an issues list can help set meeting agendas and identify action items, and help a working group get a solid grasp on how much work still remains to be done. Logging each item as it is identified ensures that nothing slips through the cracks. Issues lists also serve as a record of decisions already made, thus helping to ensure that groups avoid the trap of re-opening the same discussions again and again. So I’ve convinced you that your group needs an issues list. Now what? How do you go about implementing an issues list? In many cases a spreadsheet is sufficient, particularly if the list is small and there is little disagreement. If the subject is complex – such as the creation or maintenance of a specification or standard – it’s likely that the list will be as well. Using a more sophisticated issues tracking system will allow the team to not only record the issue but also capture discussions and final resolutions, as well as note various workflow states and generate reports. External review adds another layer of complexity. Substantive comments mean more issues to deal with, oftentimes with the additional burden of having to report the results back to the submitters. An issue tracking system is invaluable in these circumstances. Whether you expose portions of the system itself – or simply make reports available – to your constituency, the group members can concentrate on the issues at hand rather than spending time updating spreadsheets or writing reports. Ready to get started? There are dozens of templates available online for Microsoft Excel, and even a few for Microsoft Access. There’s also dozens of issue tracking systems out there – some free, some not. When deciding which one is right for your group, think ahead to future requirements – and be sure to ask for members’ input. Chances are they’re already using a particular approach – good or bad – elsewhere. Remember that sophisticated shouldn’t mean “hard to use,” and spending some quality time with set-up and configuration will prove to be well worth the effort. Make sure your tools are user-friendly and complement systems already in use for other committee activities. The more disparate tools and systems you expect members to use, the less likely they’ll embrace any of them. And finally, once you’ve made your choice, don’t forget training. No matter how good the spreadsheet or system, it’s useless if the members don’t understand how to use it. Already have something in place? Post your favorite (or least favorite) method or tool for tracking issues in the comments below.